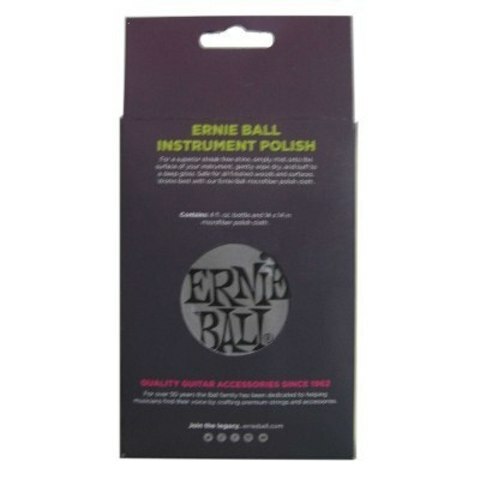 Ernie Ball's amazing formula guitar polish is free of oily film & dusty powder. There's no wait to wipe off, just apply some elbow grease and get in there! 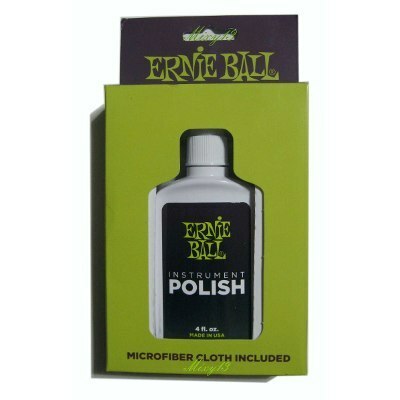 You can also use this polish for cleaning plastic dust covers and compact discs. 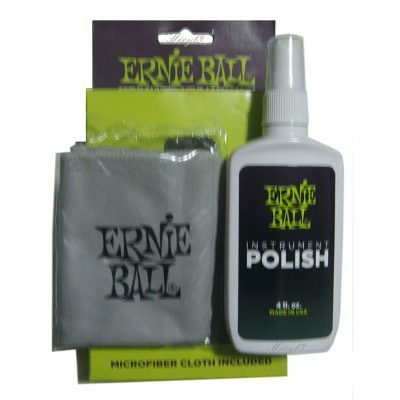 The 14-1/2" x 16" super soft polishing cloth is made of double nap cotton flannel and treated with Velva-Sheen, a special formula to reduce dust and prevent scratches. 4oz. pump-spray bottle.